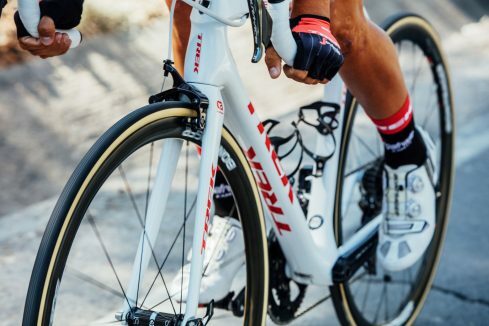 Alberto Contador was first seen on the Trek-049-RD, the UCI approval code is as understated as the launch of this 2018 featherweight contender. 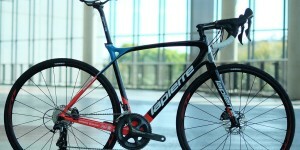 The anagram has been officially assigned and it’s an Émonda, Trek’s lightest one yet. 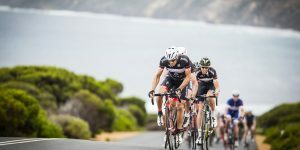 Gone are the days a manufacturer can create a one size fits all non-specfic road bike. If they proceed down the path of a compact geometry frame, with recognisable tubing, and adaptability to aftermarket componentry it is still not enough. One can’t simply rely on ride characteristics either. And if it’s not fully integrated, aero, or fast, it better be light. The Émonda succumbs and delivers to the demands across more than just one. In 2014, the first incarnation was introduced as the Madone turned aero and in turned opened a gap for the Émonda. Unlike the Madone, the Émonda has remained relatively recognisable, the new model retains the classic appearance and all the traditional trimmings, with of course the option of discs. The performance improvements of course, lie under the whisper-thin paint. 700 OCLV (Optimum Compact Low Void) carbon was used in the SLR10, the complete bike weighing a grand total of 4.88kg. With a new layup process Trek’s engineers have bettered this frame with the new SLR module now 640g or 655g with disc mounts. 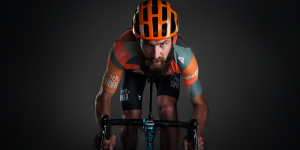 The new layup required a redesign unique to each frame size: Size-Specific Ride-Tune performance, eliminating the need for gender specific frames. Though the H1, aggressive, and H2, less so, fit options are still available. Further blurring the categories, the Émonda can handle wider tyres, creating an all-weather ultra-light disc bike. The rim brake version isn’t quite commonplace either. Trek installed a proprietary Bontrager direct-mount caliper set – the eye-catching Speed Stop Pro. 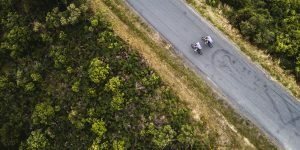 Infact, Bontrager supply all the finishing kit with a wide range of bars and saddles providing fit options for any personal or gender preference – for areas where the frame can’t and where it matters most. For those in the know, the SLR will also be available via Project One for the ultimate customisation experience. Behind all the hype of the SLR, is the SL, boosting the previous generation’s frame design with new 500 OCLV carbon. The SL is aimed for the recreational rider, offering the more relaxed H2 geometry and a women’s specific model. The Émonda has always rolled quietly by, not flashy or bold like it’s siblings, the focus always on the numbers, the newest edition hits these targets, 6.08kg for a 56cm to be exact. 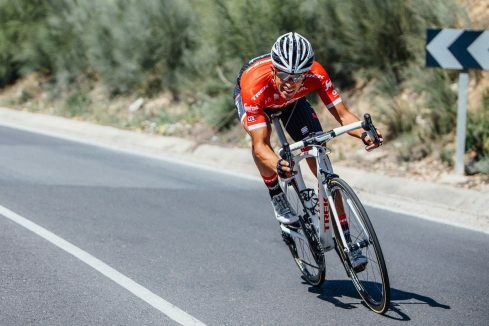 Appropriately, Trek are eager to let the results speak for themselves and El Pistelero has jumped aboard an Émonda at this year’s Tour. He’ll no doubt have the mountain top finishes firmly in his sights. 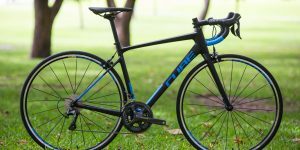 The flagship SLR9 retails for $12,999. 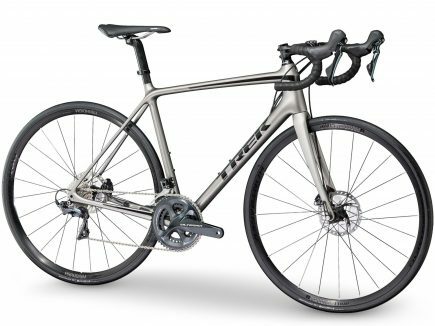 Realising this may be out of reach for many, Trek offer a myriad of options starting off with the SL5 in both men and women’s models equally priced at $2,499.